Lucinda Skirt https://www.review-australia.com/asia/lucinda-skirt-navy/RE19SK017.RENVY001.html The lovely Lucinda skirt is a modern classic for your work wardrobe. In a soft textured fabrication, the medium weight skirt is structured yet comfortable with a pleat hem detail that sits at the knee. With a white blouse or printed top, this skirt is effortlessly in step. It also has a removable patent belt at the waist in matching navy. The lovely Lucinda skirt is a modern classic for your work wardrobe. In a soft textured fabrication, the medium weight skirt is structured yet comfortable with a pleat hem detail that sits at the knee. With a white blouse or printed top, this skirt is effortlessly in step. 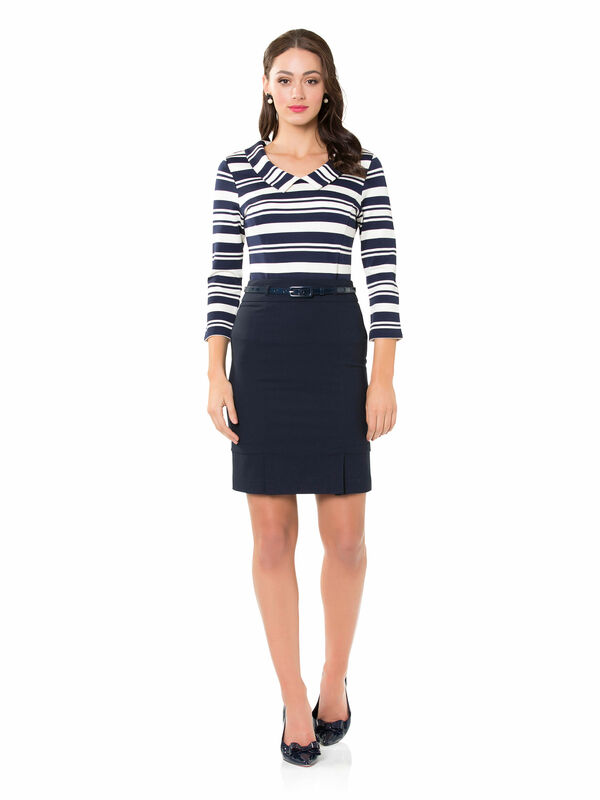 It also has a removable patent belt at the waist in matching navy.